Building effective machine learning (ML) systems means asking a lot of questions. It's not enough to train a model and walk away. Instead, good practitioners act as detectives, probing to understand their model better: How would changes to a datapoint affect my model’s prediction? Does it perform differently for various groups–for example, historically marginalized people? 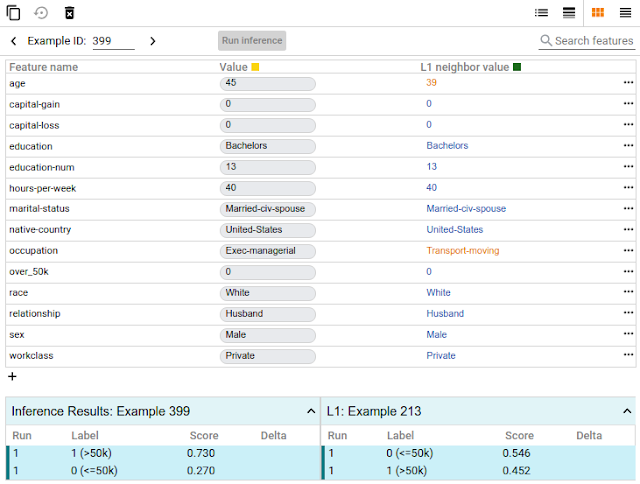 How diverse is the dataset I am testing my model on? Exploring what-if scenarios on a datapoint. 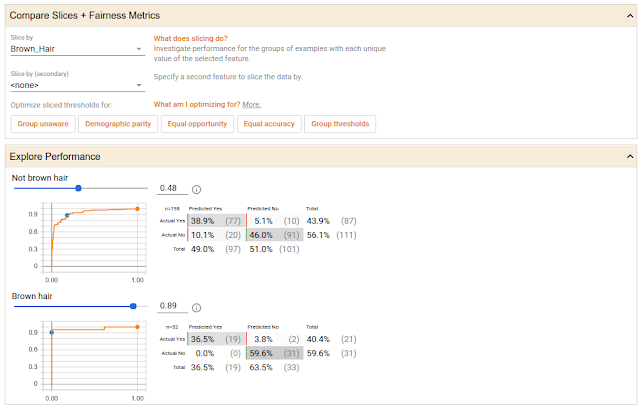 With a click of a button you can compare a datapoint to the most similar point where your model predicts a different result. We call such points "counterfactuals," and they can shed light on the decision boundaries of your model. 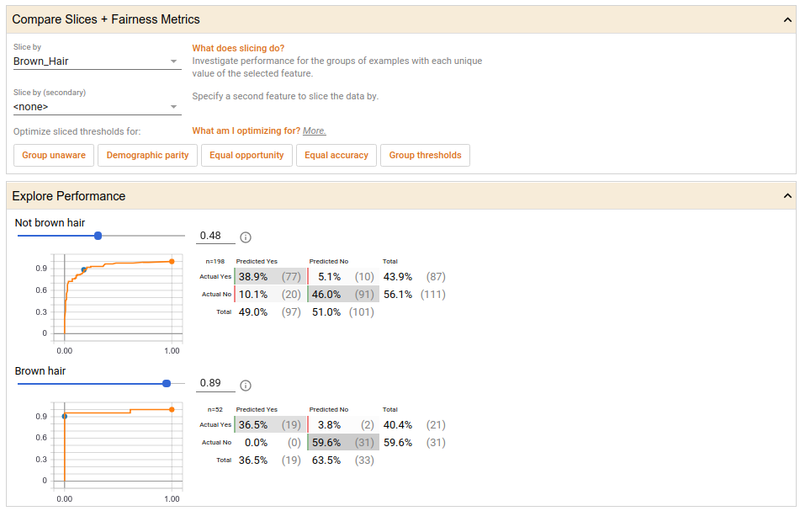 Or, you can edit a datapoint by hand and explore how the model’s prediction changes. 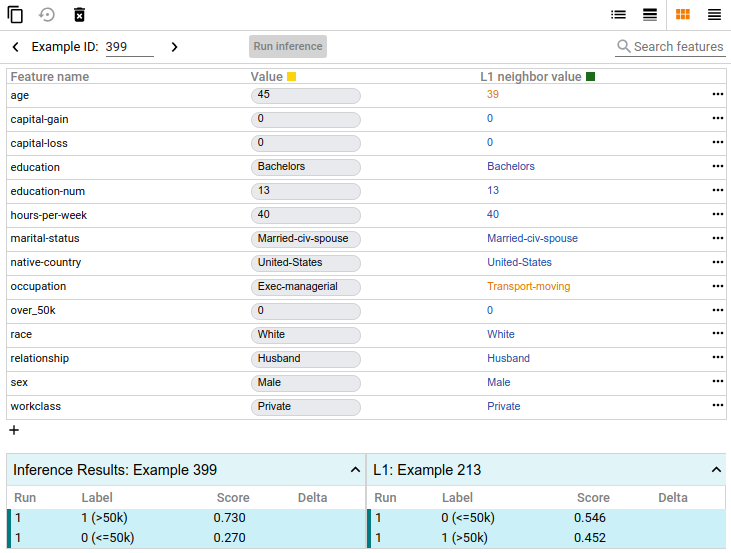 In the screenshot below, the tool is being used on a binary classification model that predicts whether a person earns more than $50k based on public census data from the UCI census dataset. This is a benchmark prediction task used by ML researchers, especially when analyzing algorithmic fairness — a topic we'll get to soon. In this case, for the selected datapoint, the model predicted with 73% confidence that the person earns more than $50k. 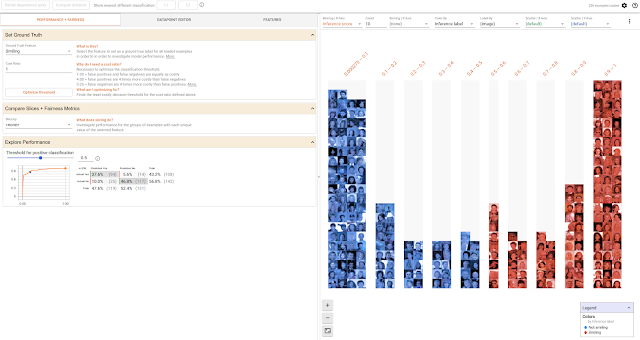 The tool has automatically located the most-similar person in the dataset for which the model predicted earnings of less than $50k and compares the two side-by-side. In this case, with just a minor difference in age and an occupation change, the model’s prediction has flipped. Comparing the performance of two slices of data on a smile detection model, with their classification thresholds set to satisfy the “equal opportunity” constraint.